Despite having been to London a couple of times in the past year, I have never tried a Sunday roast before. Well, if I am to be entirely honest, I never even heard about Sunday roast. 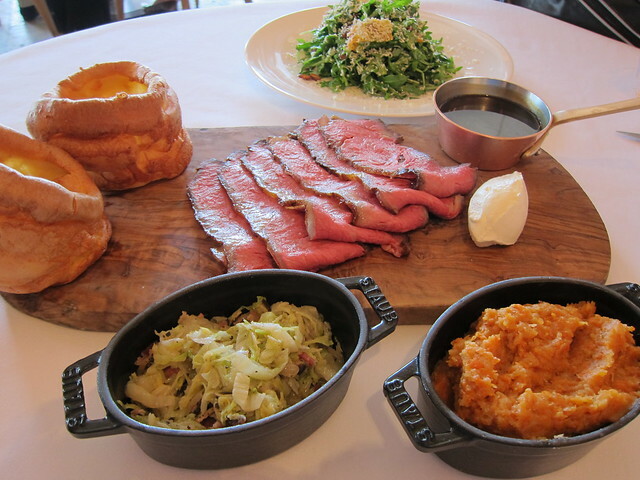 While I heard from the foodie circle that St Betty is doing a great Sunday roast this part of the world, it was with an open mind and a sense of adventure that I went to the restaurant in IFC one weekend. The Sunday roast ($298 per person, minimum two person) arrived at my table with much fanfare; three staff holding various bits and pieces, elaborately setting up the table and placing dishes in the right configuration for my better half and I. I almost wanted to video the whole thing, but I refrained. I was at St Betty after all, I am not sure if such uncouth behaviour will be tolerated.